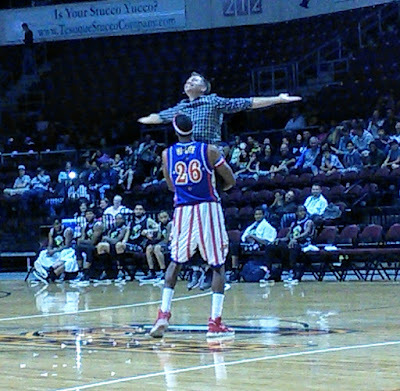 My first Harlem Globetrotters game was a blast. My family was provided tickets to attend the show. 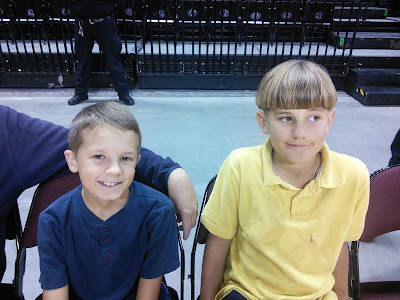 My family and I went to a Harlem Globetrotters game the other night and we had an awesome time. This was not a typical basketball game and I was so glad as I am not into sports. Instead, this was a family fun event that was filled with lots of laughing. 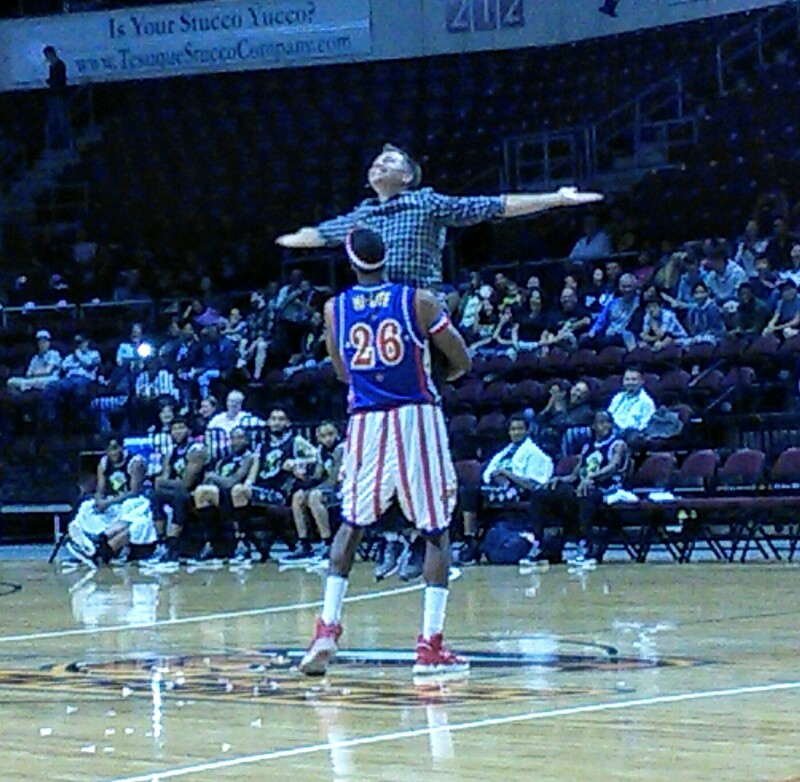 I really loved how the basketball players kept my attention with their silly show. The players even had people in the audience join in on the fun. 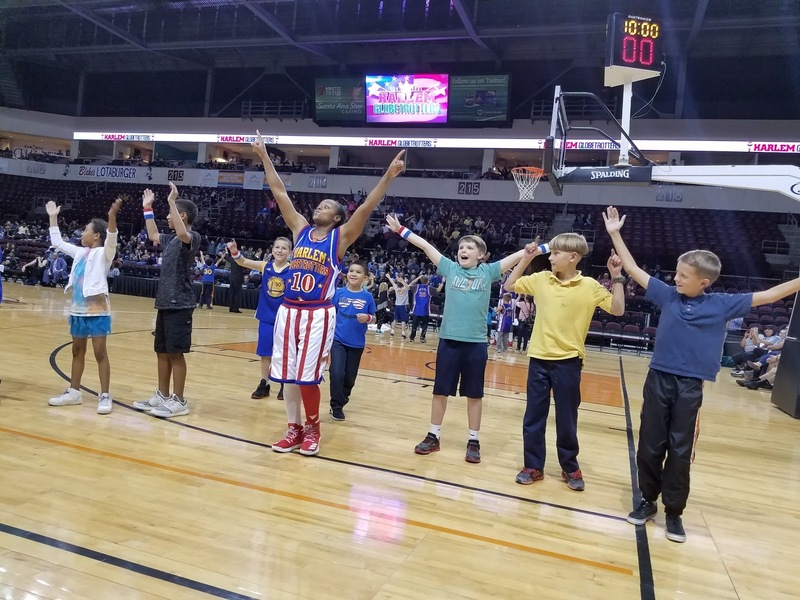 My boys were so excited when they got selected to go on the court and dance with the Globetrotters. My boys had fun singing the YMCA song with the players. 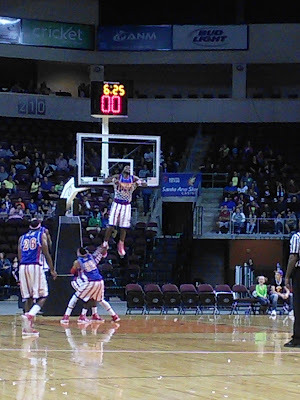 Watching the Globetrotters was way better than watching a real basketball game. These players knew how to have fun and they made me laugh all night long. I was amazed at how Flip was able to jump up and hang on the rim. This was after he made a great shot with the basketball. The show had plenty of audience participation. The below photo was a husband who was getting lessons on how to impress his wife. 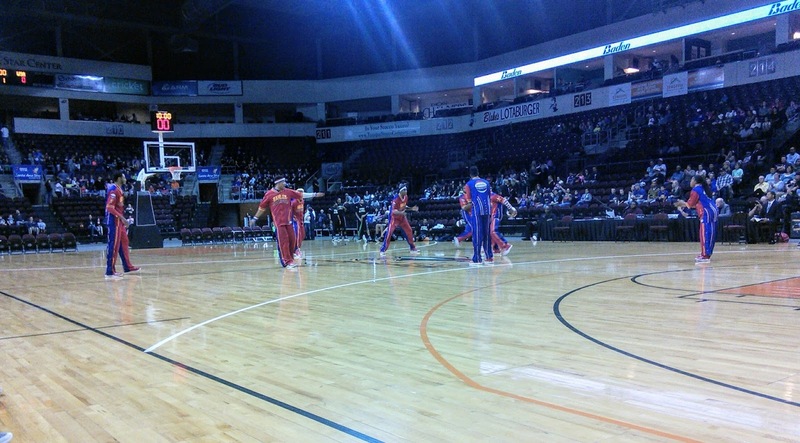 This was after the Globetrotters took the wife's purse. My husband loved when the players did the reverse play in slow motion. That took a lot of talent on the players part. I got so many great photos and videos of the show. I would love to show all of them to you but that would spoil the show. 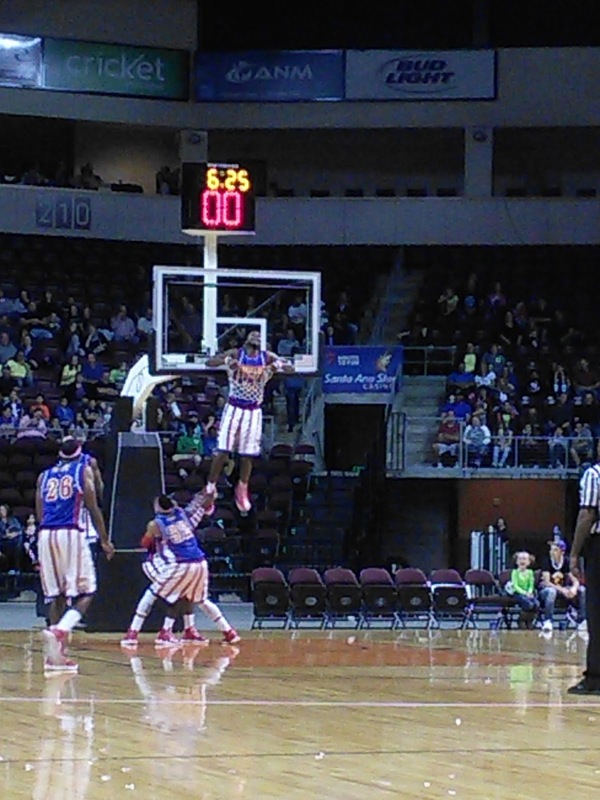 You need to attend a Harlem Globetrotters show so you too can have a fun family night. 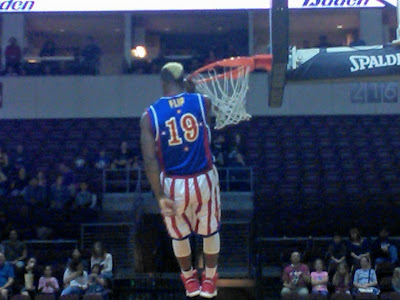 Here is a photo from when a player got stuck in the hoop. This made us all laugh so hard. It was so funny when one of the other players was coaching him how to get down. I leave you with my favorite video from the show. 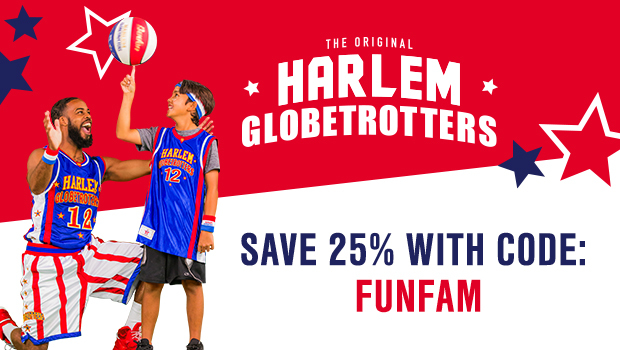 SAVE 25% for ALL Harlem Globetrotters Games with promo code FUNFAM This code is for all games in the United States.